Welcome to a very special website! This is a collection of the personal stories (mostly eulogies) of people whose lives we wish to record, honour, remember or present to the world. It mainly consists of personally prepared eulogies of human beings, well known or not well known. They are written by "best practice" Civil Funeral Celebrants and other biographers/eulogists. Stories and memories of loved family members and friends, recorded in a carefully constructed eulogy become part of our family history. They reinforce us with a sense of pride and knowledge of our identity. These stories, recorded on the marvel of the internet, are thus available to friends, family and colleagues throughout the world. There is another purpose to this website. 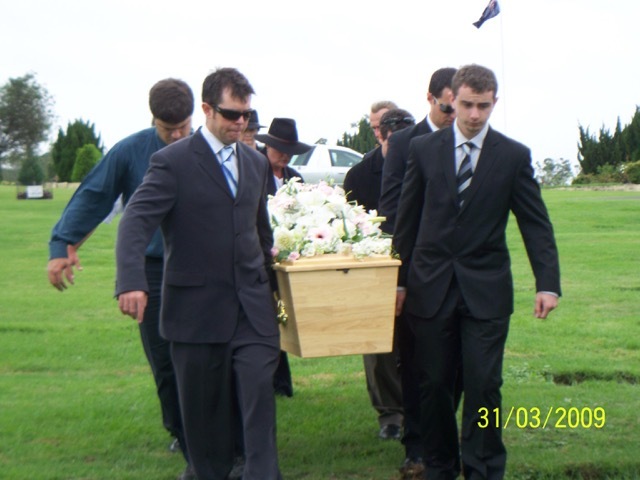 It is to encourage Civil Funeral Celebrants to maintain the high standards of preparation and checking originally established and encouraged by our founder, Lionel Murphy. Unfortunately, in some places these standards have dropped because many Funeral Directors (Funeral Homes) control the finances of a funeral and only recommend those celebrants who accept their very low fee. Many Funeral Directors do not distinguish between those celebrants who preside over a ceremony constructed by others, and those who consult, advise and consult closely with the family. The latter become involved in the painstaking construction of the ceremony - the music, the poetry and quotes, the reminiscences, the symbolism, and the choreography. But especially, these "best practice" civil funeral celebrants take the responsibility for writing and checking the central component of the ceremony, the main eulogy. This on its own is a very demanding and time consuming task. For this reason it is best to contact your celebrant first and negotiate a reasonable hourly rate. Index of all names on this site. Finding a civil funeral celebrant near you. or contact one of the rest of us!